"Weight loss apps are exceptionally popular," said Forman. "However, very few people are successful at losing weight and keeping weight off, even with the help of these apps. The bottom line seems to be that it is extraordinarily difficult to stay on the weight loss plan." People on weight loss plans often experience lapses, which can prevent successful weight loss or even lead to weight regain, according to Forman. The study evaluated the effectiveness of the app among weight loss program participants, individuals attempting to follow a structured online weight management plan from WW (previously known as Weight Watchers) for eight weeks. OnTrack uses advanced statistical methods - machine learning - to learn over time a user's individual patterns of eating. Specifically, it learns patterns that are predictive of staying on one's weight loss plan and patterns that are predictive of lapsing from one's plan. When the algorithm detects the risk of lapsing is high, it sends a special coaching message that matches the reasons that someone is at risk. For example, the app can predict a person is eating late at night because of being bored at home with tempting food. The predictions get better over time as the app learns a user's behavioral patterns. "This study is part of a line of research devoted to helping people become more adherent to a dietary prescription, which leads to more successful weight loss," said Forman. Results showed the study was successful in three separate areas. First, participants reported high levels of satisfaction with the app. Second, OnTrack was successful at predicting lapse. Finally, over the course of the study, participants averaged a 3.13 percent weight loss and reduction in unplanned lapses. Since the study was successful, the next step is a randomized clinical trial to confirm the app's efficacy as a weight loss tool. 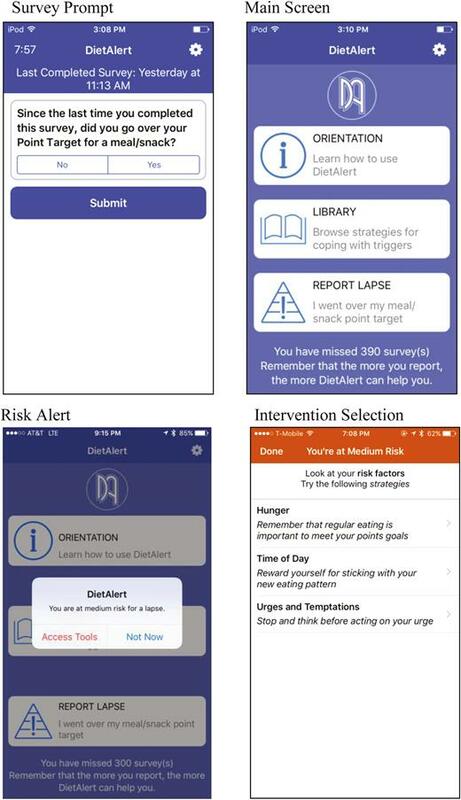 "Apps are particularly useful for predicting and preventing individual health behaviors. OnTrack could be utilized to facilitate greater success during self-directed weight loss attempts," said Forman. This article has been republished from materials provided by Drexel University. Note: material may have been edited for length and content. For further information, please contact the cited source.